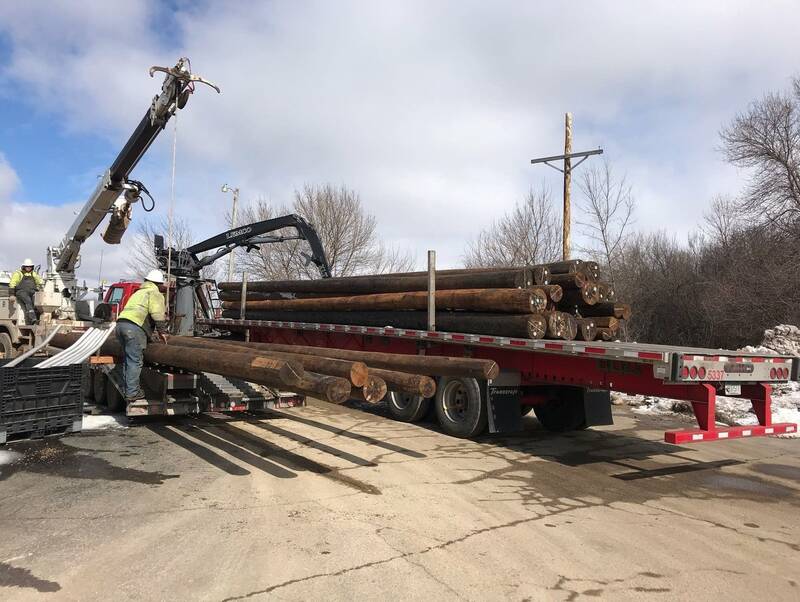 The lights were coming back on for many southern Minnesota residents Sunday after last week's storm ravaged electrical infrastructure. More than 8,000 Freeborn-Mower Electric Cooperative customers were without electricity at one point. But as of Sunday morning, fewer than 950 homes remained without electricity. The remaining outages are in isolated, rural areas, said Mary Nelson, director of co-op relations. All towns and villages the co-op serves are back online. "The low-hanging fruit has been picked," she said, adding that the co-op expects full restoration by Wednesday night. 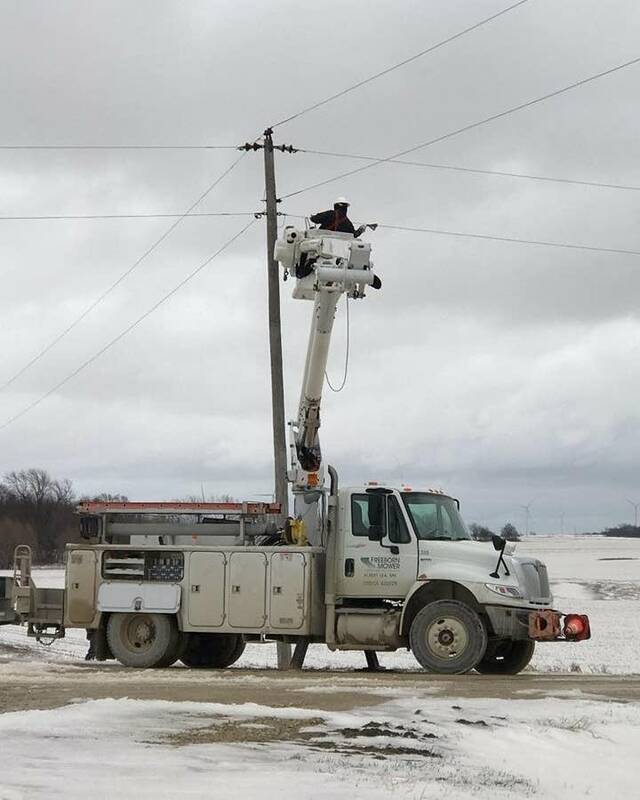 Soggy ground makes it difficult to reset or replace poles that were damaged or ruined by ice, snow and high winds. Plus, she said, much of the infrastructure dates back to the 1940s. However, an additional 35 linemen on Sunday was helping the restoration efforts. Nelson said 150 linemen were out working until sundown. Crews from neighboring states have been assisting with the repair work. Other utility companies also were making progress in repairing downed lines. Xcel Energy reported late Saturday that it had restored power to 98 percent of its customers who lost service during the storm; about 900 customers remained without power in southwest Minnesota. 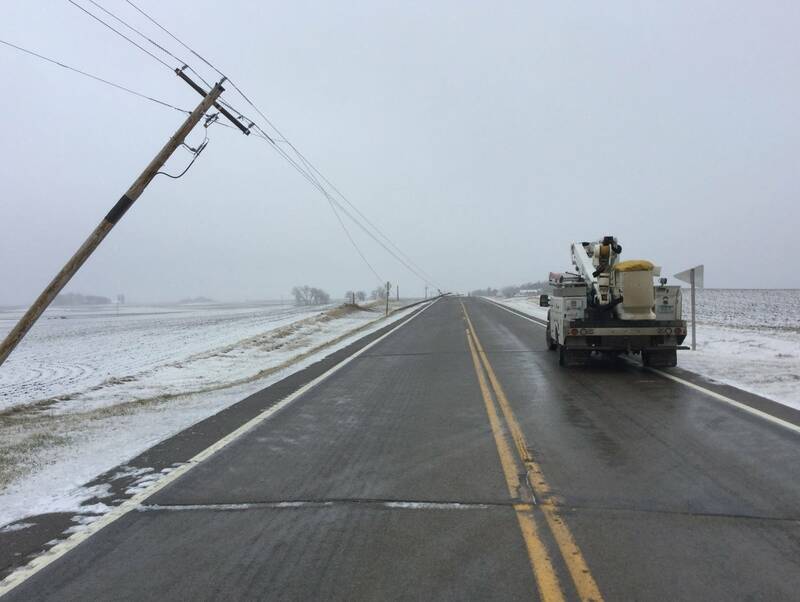 Xcel said it expected to have all power restored by Sunday afternoon.